Los Angeles: Miami icon Dwyane Wade banked in a buzzer-beating three-pointer to lift the Heat to a 126-125 victory over the reigning NBA champion Golden State Warriors on Wednesday. 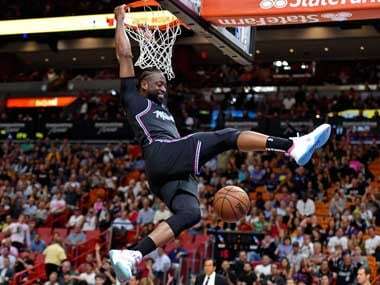 Wade, who announced before the season that he would retire after this campaign, added another sublime moment to his career highlight reel as the Heat snapped a six-game home losing streak by salvaging a victory that appeared to have gotten away. Miami led by as many as 24 points and were ahead by eight going into the fourth quarter. Kevin Durant's jump shot tied it at 109-109 with five minutes remaining, and Durant's three-pointer with 67 seconds left — plus a free throw after he was fouled on the play, gave the Warriors a 122-118 lead. 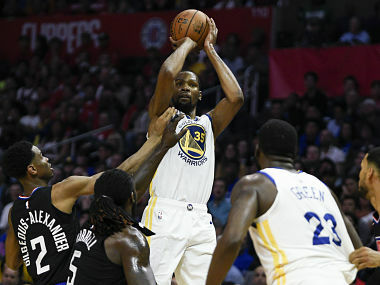 Golden State were still up by four when Wade drained a three-pointer with 15 seconds left and after Durant made one of two free-throws to put the Warriors lead at two, Wade delivered from the top of the arc — hanging on when his first attempt was blocked and draining a second effort for the victory. "I've been in this position so many times and so many times you don't make the shot. And the one I make is a one-legged flick from my chest. It's crazy," Wade, a three-time NBA champion, said. Warriors coach Steve Kerr called it an "unbelievable shot" from the 37-year-old. "I knew it was going in as soon as it left his hand. I guess it's fitting. 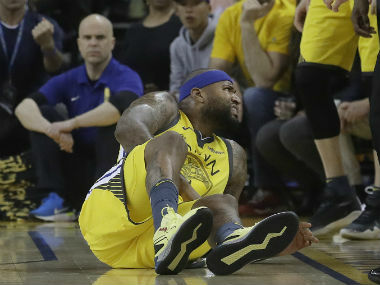 His last season, this kind of game — for him to finish it the way he did, incredible," Kerr said. Miami had taken control of the contest early, led by 27 points from Goran Dragic. Klay Thompson led the Warriors with 36 points and Kevin Durant added 29, but Kerr said the slow start was too much to overcome for the Warriors, who maintained a half-game lead over the Denver Nuggets atop the Western Conference. East leaders Milwaukee improved their league-best record to 47-14 as they downed the Kings 141-140 in overtime in Sacramento. Eric Bledsoe starred, scoring five of his 26 points in overtime and adding 13 assists and 12 rebounds for the Bucks. Malcolm Brogdon chipped in 25 points — including a three-pointer and two free-throws in the waning seconds of overtime — as Milwaukee notched their sixth straight victory. Elsewhere in the East, there was no respite for the Boston Celtics, whose 97-92 loss to the Portland Trail Blazers was their fourth straight defeat. Houston star James Harden endured a tough shooting night but still managed to crank out 30 points as the Rockets defeated the Hornets 118-113 in Charlotte. Charlotte guard Kemba Walker scored 35 points, but missed two three-pointers in the final minutes as the Hornets dropped their third straight. Harden, who saw his streak of consecutive 30-point games end at 32 on Monday, struggled from the floor, making 10 of 29 shots including just one of 11 from three-point range. But Harden made nine of nine free throws, including four late foul shots that helped the Rockets pull through. 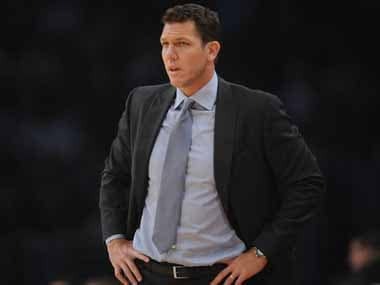 In Los Angeles, LeBron James scored 33 points as the Lakers held on for a 125-119 victory over the New Orleans Pelicans. Brandon Ingram added 23 points for Los Angeles, who led by 12 early in the fourth quarter but saw the cushion trimmed to 118-117 with 1:38 remaining. James drained a three-pointer with 31 seconds left that stretched the lead to 123-117, following up after teammate Reggie Bullock forced a turnover by Jrue Holiday. "We played some really good basketball, and you want to try to close it out the best you can, especially on your home floor," James said after the Lakers snapped a two-game skid.